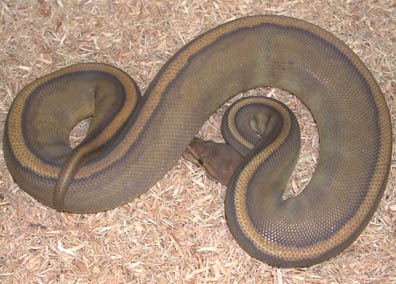 This is a double homozygous of the hypo appearance and of the genetic stripe appearance. This animal was produced by Fred Kick of the Kick Brothers back in August 2007 and I acquired her in November of 2008. 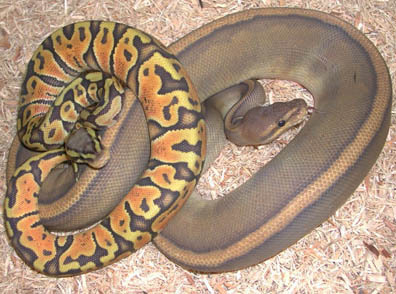 I will be doing several breedings to make this appearance even more stunning. 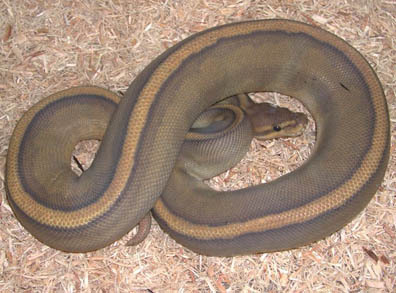 Her first boy friend will be a hypo super pastel jungle which will produce an entire clutch of hypo pastel jungles 100% het for genetic stripe. 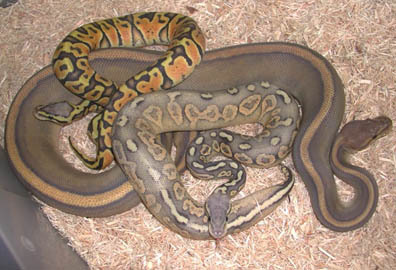 I then will breed one of these sons back to her in the hopes of hitting on a hypo pastel genetic stripe and after that happens, I would hope to breed that(a male hopefully) back to the female hypo pastel jungles 100% het genetic stripes in the hopes of hitting on a hypo super pastel genetic stripe. this is just one project that will take some time but at least the bottom won't drop out of this project due to it being to easy to produce and it is beautiful as well. First and second shots are of her and third is of her and the male hypo super pastel jungle and fourth is of her and male hypo super pastel jungle and the male hypo pewter.